Wherever you look these days, there’s glitter. I feel like it was never really that much of a deal until very recently, but now it’s on our bodies, in our drinks and even in our food. One particular restaurant has gone one step further and desecrated the thing that most of us hold dear – pizza. 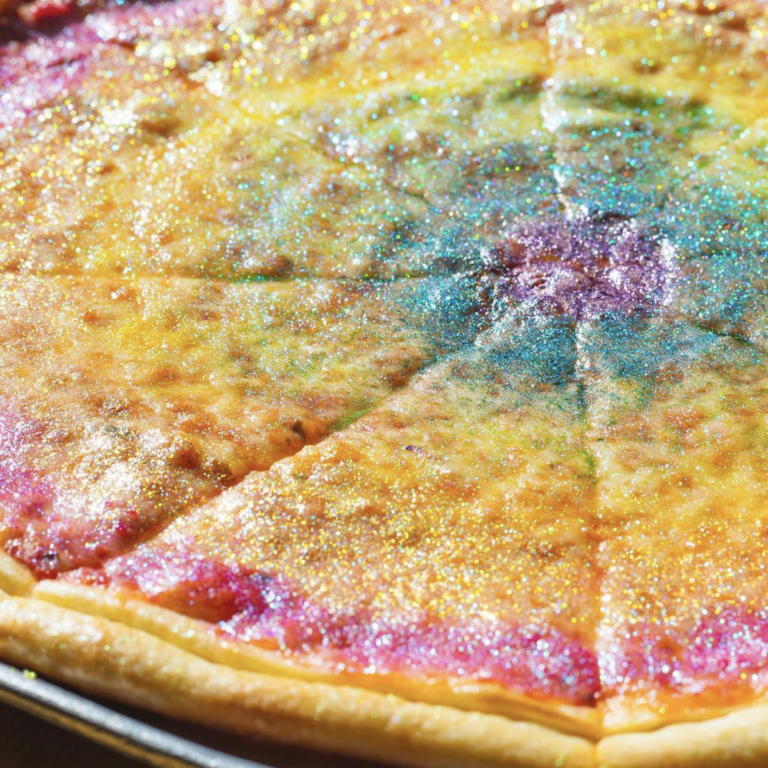 Yes, glitter pizza is now and thing. 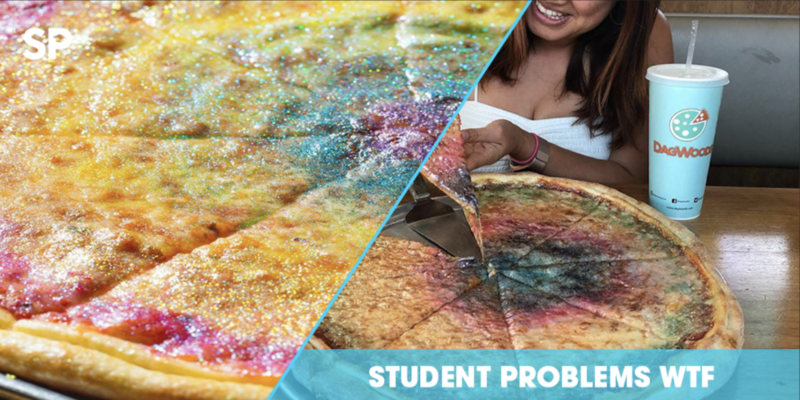 More specifically, unicorn glitter pizza. Stop the world, I want to get off – amirite? Early 2007s-clichés aside, this does LOOK nice, but it doesn’t look EDIBLE. 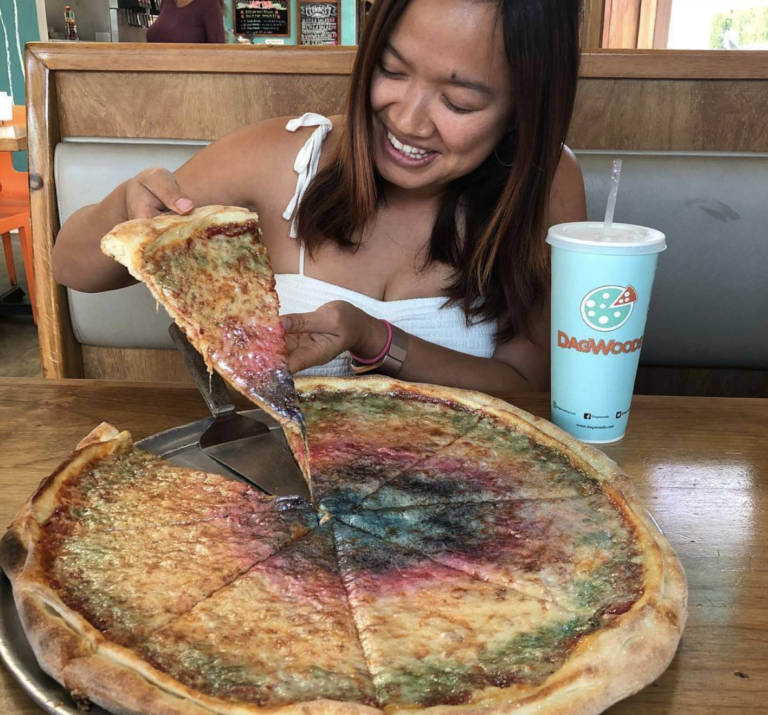 The restaurant behind this abomination is Dagwoods in Santa Monica. 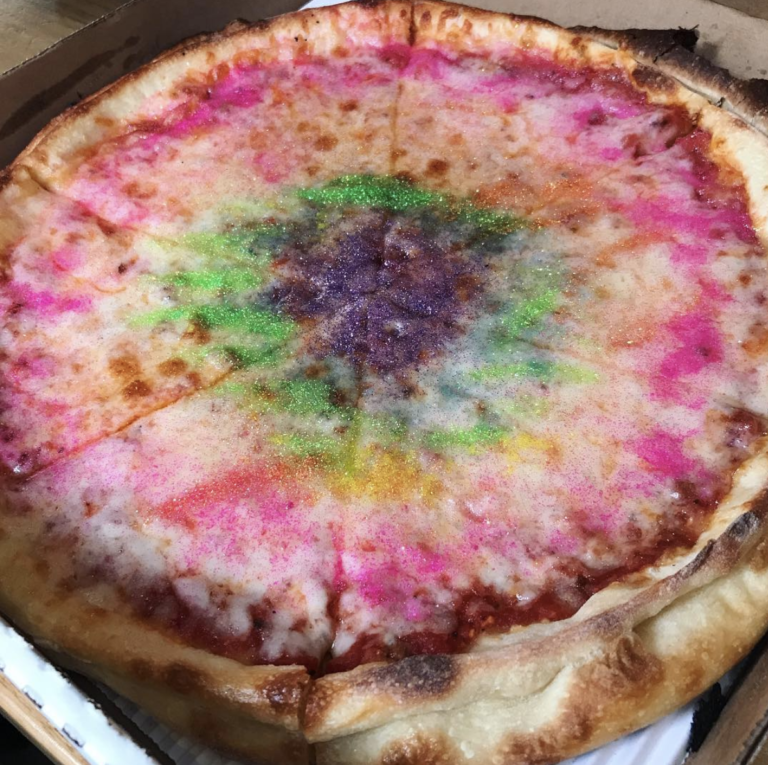 The pizza is called the MagicalAF pizza and… well that’s about it. I assume glitter is vegan. Who knows anymore? !